Every presidential election we hear the question raised as to why we have such a strange way of selecting our president and vice-president. 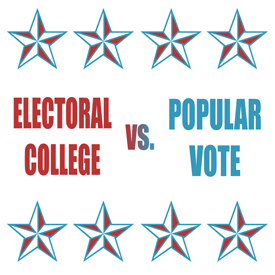 Many ask why we can’t just elect them via direct popular vote as we do our other elected officials, since that would be more “democratic.” Such a move to change our process to a national popular vote demonstrates a lack of understanding of both the kind of government we are supposed to be and the history behind the establishment of our Constitution. Because of this dearth of understanding among so many of our fellow citizens, it will take more than just one article for me to offer a defense of our electoral system. The most glaring misunderstanding of our election system is demonstrated when people allege that it is not “democratic.” We are not a democracy, and those who talk about democracy fail to have an adequate understanding of it. Our founders did not establish a democracy – they gave us, in the words of Benjamin Franklin, a republic. The uniting of the concept of republicanism and federalism formed the unique basis for the new government established by the Constitution. It is this basis that lies at the heart of our unique method of electing the top officials in the executive branch. There were a number of alternatives proposed during the debates in the Constitutional Convention of 1787 as to the best method to select a president and vice-president. There were some who did favor direct election by the people as they placed a great amount of faith in the people being astute enough to vet those for whom they would cast their vote. There were others, however, who held just the opposite view. In his notes on the debates, James Madison recorded that Elbridge Gerry, a delegate from Massachusetts, made this observation regarding the ability of the people to make such a judgment: “He was against a popular election. The people are uninformed, and would be misled by a few designing men.” Of those who held these two opposing views, I think we can safely say that Mr. Gerry got it right. Consider the ignorance of so many voters as evidenced in many of the “man on the street” interviews on the internet and television and we can see how our current process is abysmal. As Theodore Roosevelt once said, “A vote is like a rifle: its usefulness depends upon the character of the user.” Next week I’ll turn to the reason why our system is grounded in the concepts of republicanism and federalism.